Space, the final frontier. And while Star Trek certainly has a much more hopeful view of what space exploration will bring for humanity, there are numerous others that don't look at space travel as being so benevolent. 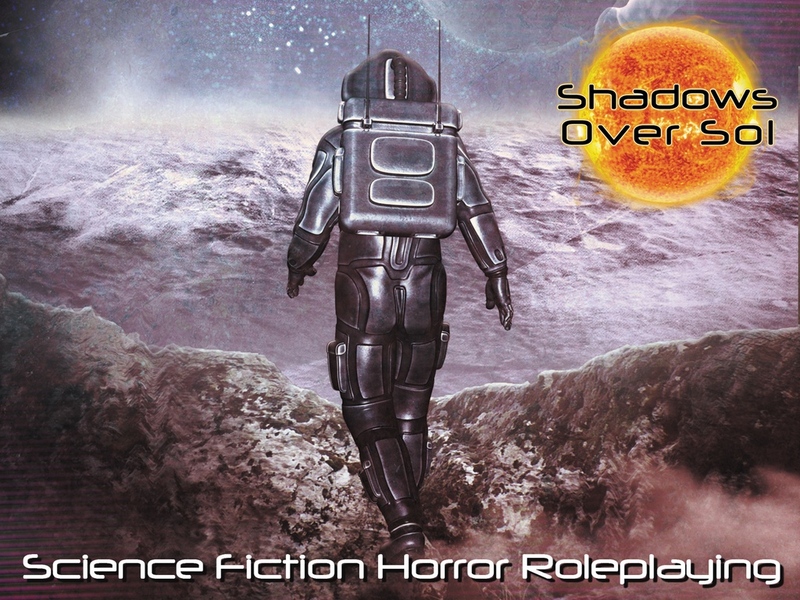 Shadows Over Sol is an RPG set in a dystopian future. Mankind is spreading out into the solar system. Unfortunately, various national groups and large corporations are making things difficult by engaging in small-scale wars with one-another over who gets the choicest bits. The game is basically if you took things like Alien, The Thing, and The Bearded Men of Space Station 11 (ok, maybe not that last one) and made an RPG out of it. You could be playing as veterans of the aforementioned wars of expansion. Or you could be corporate "troubleshooters" trying to get the most profits for your shareholders. Or maybe you're just an interplanetary salvage/exploration crew. The campaign is already over their funding goal and is set to run for another 23 days.